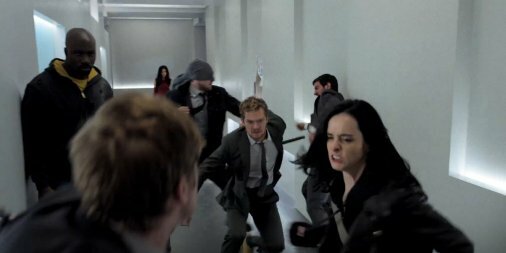 IMDB storyline: "Marvel's The Defenders" follows Daredevil, Jessica Jones, Luke Cage and Iron Fist. A quartet of singular heroes with one common goal - to save New York City. This is the story of four solitary figures, burdened with their own personal challenges, who realize they just might be stronger when teamed together. 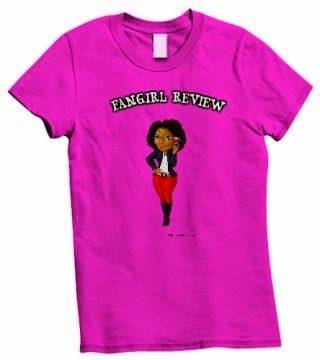 Fangirl Thoughts: They brought the team together! Marvel has been working so well on Netflix. They had a set plan and I must admit it was a fantastic plan. Fans were able to get familiar with Daredevil (we are going to just forget that pesky movie), Jessica Jones, Luke Cage, and Iron Fist first before bringing them together. Now we have the Defenders which brings all those characters together. It was an easy show to binge watch. It was a bit slow and annoying in the beginning but I understand that they needed to set everyone up and show their investment in defeating The Hand. Yes, The Hand (silly name). I like that once they were introduced the show really started moving and I became really invested. Jessica's sarcasm was welcome and it balanced out the annoying aspect of Iron Fist. Best Moment: The best moment in the show is when Luke Cage pointed out Iron Fist's white privilege. I must admit I am getting tired of the storyline of the rich guy that loses his parents and seeks revenge and ignores the wants and needs of others around him until his revenge is satisfied. Cage pointing out how Iron Fist does not use all that he has to do more and being only invested in himself finally makes the man look at himself. Though as I was watching the show and they figured out the Hand needed Iron Fist, I said well then remove him from the playing field so they can't get him. When the bumbling team finally decided to do just that Iron Fist was a spoiled brat about it and they had to fight him. How stupid can this man be. 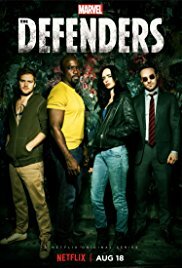 I must admit that I did not watch his show as I had no investment in his story and after watching the Defenders I am still not interested. I just wanted to take a sponge and scrub off that silly tattoo, I don't care of it's significance. So wait in order for the Hand to live so long they would use the stem cells of old creatures? Right? It was just stem-cells that they were basically bathing in. I look forward to seeing that Marvel has up their sleeve next. What did you think of the show? S/N: Sigourney Weaver is such a badass chick!